To Preschool Or Not ? 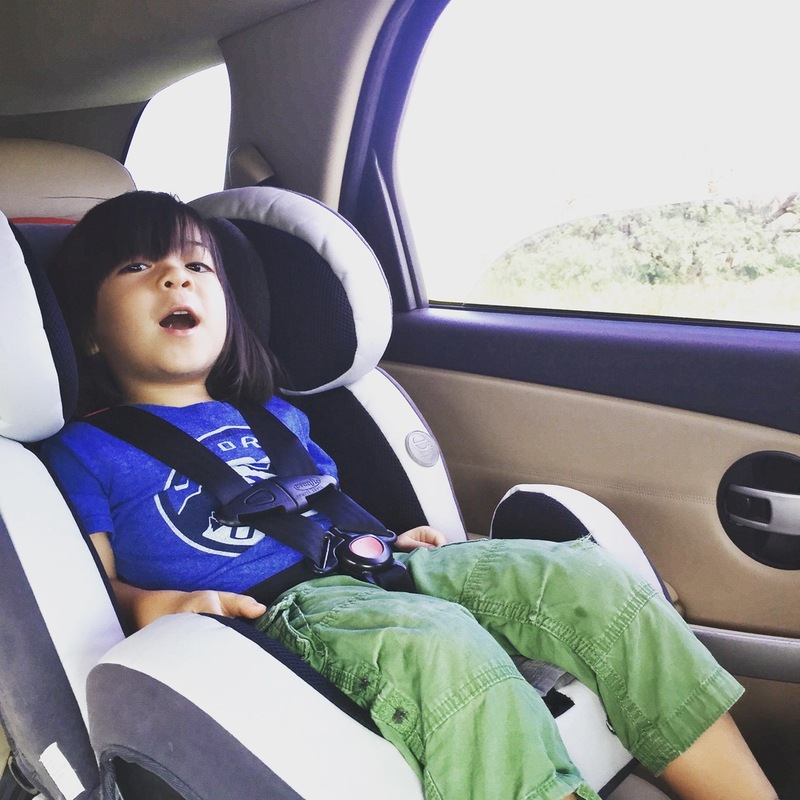 A step into letting Kyan go including a video of Kyan revealing his feelings right before his first day at preschool. Our secret weapon to brushing out Kyan's nest. 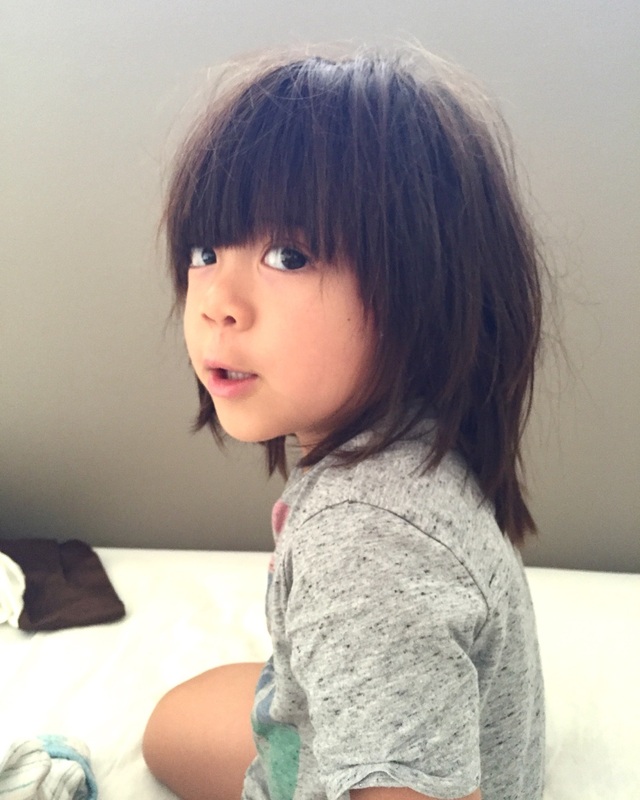 Surprising parenting advice from an American mom living in China. We love all things magical here. Fairies, gnomes, elves, goblins. We believe they live amongst us and love playing imagination in the whimsical world. Our resident fairy, who Kyan named Loxy The Loving One lives in our garden. Loxy's little fairy garden provides a place for him and his visiting friends a place to rest and gather. Loxy also has shoes on because Kyan insists "he needs them because Baba and you work in the garden a lot and there might be nails and stuffs laying around." Unassuming places. Places you wouldn't normally look are the best. A forgotten corner, somewhere you like to ignore in your garden. It creates a bigger air of wonder and amazement. Putting a fairy garden here also helps you brighten up a spot that is easily neglected. I love finding fairy gardens that almost disappears into its surroundings. It makes it so much more magical. Decide if you want a Sunny Fairy Garden or a Shaded Fairy Garden. If you don't know, I suggest looking at some fairy plants and decide which ones you like and then find a location for it. We like part shade gardens since Southern California is mostly sunny, the fairies can appreciate some shade, especially in the hot summer. Some plants you really like may not be suited for the location so make sure before you go out and buy. Trees, rocks, overhanging bushes, abandoned ceramic pots, sinks, bird baths are some places fairies like to make home and gather. We put ours in the middle of three trees. Include your child in the research process. Ask him/her what he likes and allow him free imagination. Discuss about the theme you want for your fairy. We went with "Camping in The Wilderness". Image via a japanese blog I could no longer find the link to. Collect thick branches and rocks from around your yard and make chairs and tables from them. We got this large rustic arbor and planted climbing small leaf fuchsia on both sides to create a shaded, magical entryway. The only other small leaf vine suitable for climbing an arbor that I found available in our region was miniature ivy which we will use for another garden with this cute gated arbor. We planted fairy plants like irish moss, white star creepers, ajuga chocolate chip, baby's tears in our morning shade, afternoon sun fairy garden. You can find them at most nurseries and we got ours from Armstrong Garden Center. Our Serrisa bonsai tree that blooms white rose like flowers, suitable in full sun to part shade (shown in picture next to Loxy) is thriving and growing rapidly in that location. Most of our fairy plants and accessories were purchased at M & M Nursery in Orange, CA. They have a large selection of sun and shaded fairy plants and the gardeners there are very knowledgeable about their plants and their fairy gardens. Beverly Turner from M & M Nursery was very helpful and she knows her fairy gardens. She also co-authored her first book on Fairy Gardening. 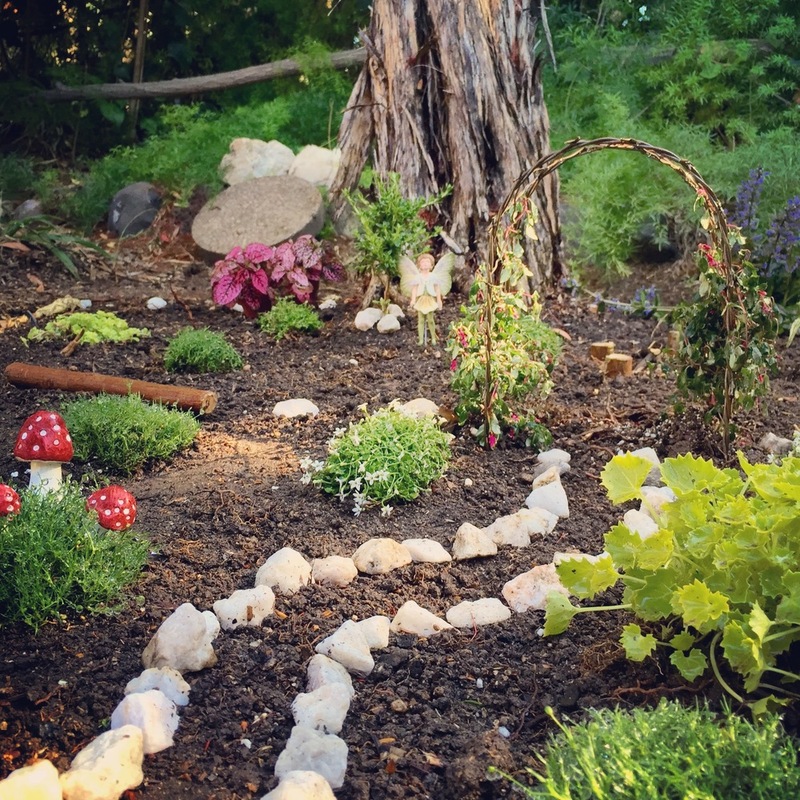 Once you dive into this magical world of fairy gardening, you will quickly learn that there is a ton of accessories you can buy for your garden. Shopping for them is the fun part for me. Buying them all is certainly not practical and unnecessary even though I want them all. I lusted over this cute little fairy gypsy camper. I also enjoy looking at what is being sold online and then find ways to use materials from nature or up-cycle things we would normally trash to create the scenes I want. Building our fairy garden with Kyan was fun, engaging and funny to say the least. I encouraged him to pick out the fairy he wanted, the arbors, plants. He learned that different plants have different sun and water needs, he learned about climbing vines that bloom in shade is rare, that baby's tears look really cute and comfy for a fairy to lay on and little toadstools make good chairs. He helped pick the spots for the plants with me, dug, planted and talked to Loxy about where his friends can sit by the campfire and find shade under the tree that will grow bigger and bigger. Kyan: Why isn't Loxy flapping his wings? Me: Because he will only flap his wings when you are not looking. Kyan: OK, I'm going to look away and then look at him from the corner of my eyes and see if he's flapping. What about you, can you see Loxy flapping his wings? This simple trick makes me feel like the Yoda of Parenting. Raising A Healthy, Happy, Hearty Eater.